Discussion in 'Show Your Collection' started by Vombie, Oct 7, 2016. You got one!!! Can you please tell me who made the white Booska (small one, standing to the left of the Cisco Booska), and the pink one (US Toys? ), standing directly behind the Cisco? 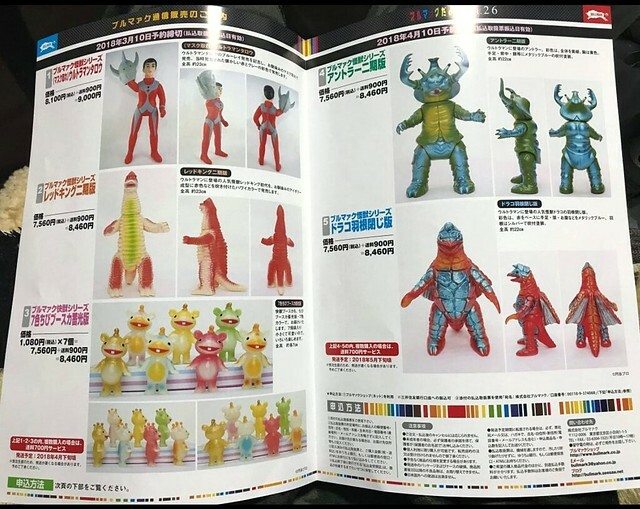 The white one is by Kaiju Ken, I believe. 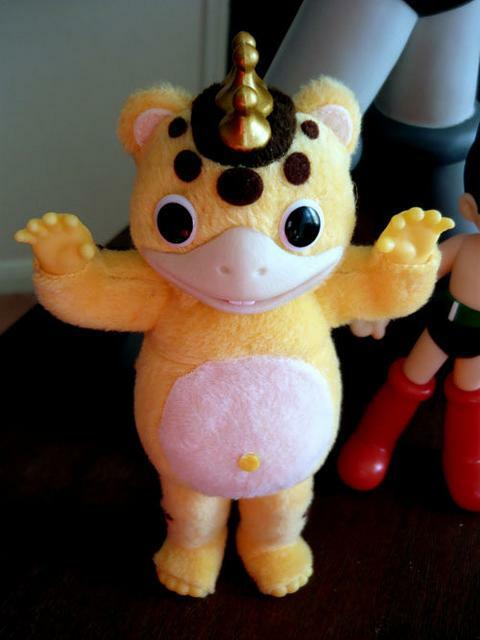 U.S.TOYS did the pink one you're asking about. nickdeth, IronPaw, gatchabert and 1 other person like this. Ok, I guess I can see why you unbag your toys now. You're having way too much fun! Thanks for the info on the Booskas! There's a new (beside mix color) Booska the green on clear'ish white "matcha" version that has been on backorder for what seems like forever, I'll post pics soon. haha I'm waiting for one about 5 months now. They put cool stuff in your bag because they feel bad. I got an illustrated envelope with about 20 photo prints of their line like the Giant Gorilla and other stuff. The first one you pull out is the Giant Gorilla hiding out in the forest. Then lots of their dinos etc. I am a happy guy. 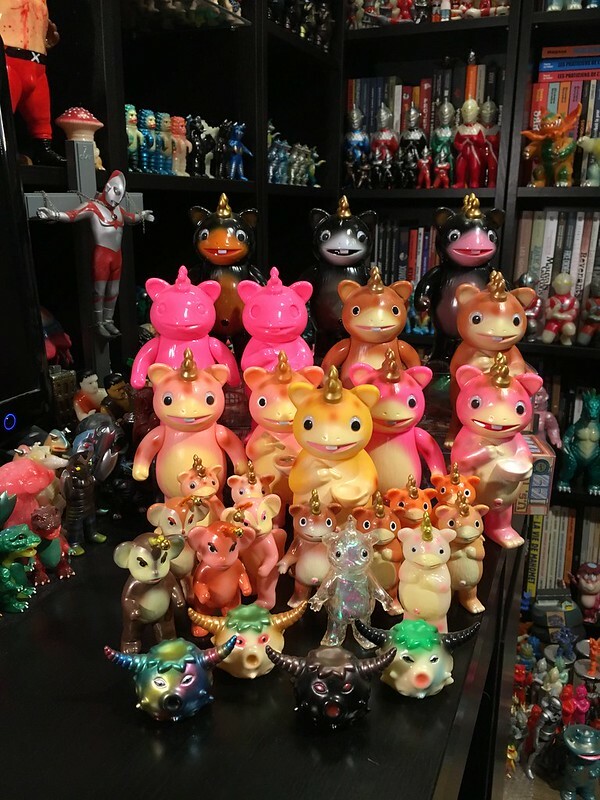 Such great Booska sofubi this last year, and going forward...! Alebrije, arjybarjy, poysntixels and 4 others like this. I love this release! Will it be an easy grab over here in the states? Yes! It should be up for pre-order at TAG next month. It's a big one too--maybe 15inches. Let me know if you see it before I do! nickdeth, Kerk1, toothaction and 1 other person like this. Arrrrgggggghhhhhh! Too Cute!!!! So Tempting!!! Need those! Direct from Bullmark release? I'm not sure. I'm guessing so. M- world was offering them. The Booska set is for March pre-orders direct from Bullmark. Total price is 8460円 (7560円 + 900円 shipping). The pictures used by M-World are from the catalog sent to customers from Bullmark for future releases. Not my photo. Left page March 2018 pre-orders. Right page April 2018 pre-orders. Kerk1 and Vombie like this. Never thought I'd find one of these any time soon...! My first cabinet is "done"...but not "complete" yet, so this was an awesome addition. Just one more piece to go. In his new home...like he's always been there. paulk, spacemonkey66, Fedhai and 1 other person like this. I used to have that one...im I sure I don't know. Maybe itsi a repro of a talking doll...? Just a guess. Bullmark Green Booska with jazz hands...check! DX Booska squeaker. The DX glow is non-squishy vinyl. Tsuburaya has entered the green building. I've been after this guy for a minute. So happy to have finally found him. On a side note: it would be great if NH made a glow TV with clear background sticker; that way it would look like it was on at night.